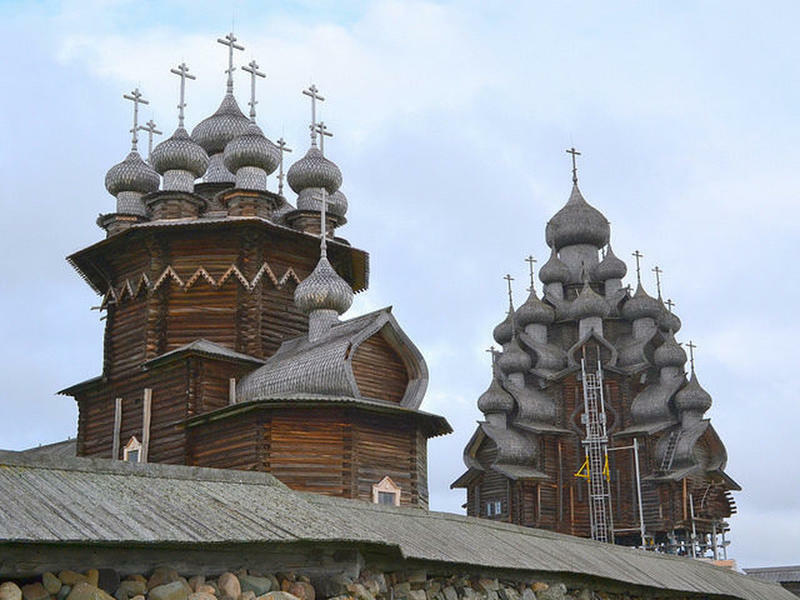 Russia’s Kizhi island is popular for many historical wooden buildings that were moved to the island from various parts of Karelia for preservation purposes during the 1950s. Today, the entire island and the nearby area form a national open-air museum with more than 80 historical wooden structures. Church of the Transfiguration, the Bell Tower and the Church of the Intercession-Kizhi Pogost. The most famous among them is the Kizhi Pogost. It is a gorgeous UNESCO World Heritage site that contains a trio of ornate 18th-century church buildings made entirely of wood. In 1990, it was included in the UNESCO list of World Heritage sites and in 1993 listed as a Russian Cultural Heritage site.